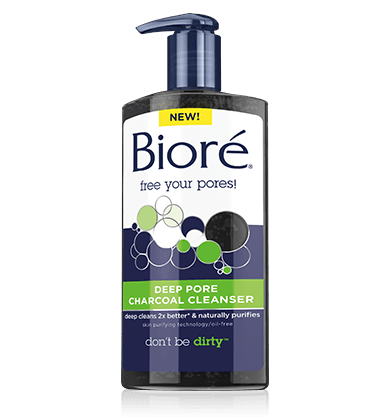 The best new facial cleanser to try is Biore’s Deep Pore Charcoal Cleanser. Like all Biore products you can get this at any drugstore. The best way to get skin clean is with a Clarisonic Skin Brush, but if you can’t afford one, or are in a hurry, this is good substitute. I have very oily skin and the Deep Pore Cleanser handled that well. While it didn’t thoroughly clean out all my blackheads like a Clarisonic would, for a regular cleanser it gets your skin pretty clean. It did better than other drugstore cleansers like Cetaphil.